Nice Verdes are Sally and Jesse, who have been performing together since first meeting at a peace march in Vancouver in 2003. Nice Verdes have toured and performed over the years, continually honing their craft relentlessly. They have toured the east and west coasts of Australia, Canada, New Zealand and Guatemala; and this is their first European tour. 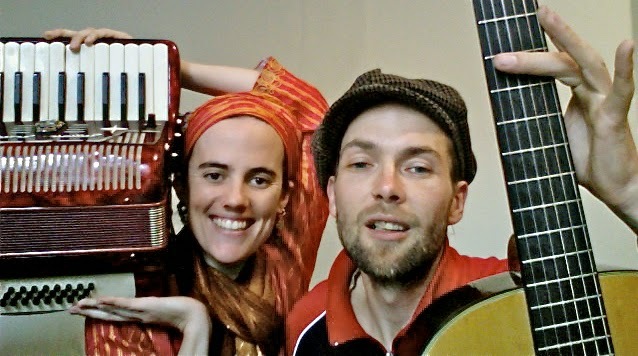 The music of Nice Verdes is uplifting, sunny and takes a fresh approach to original world folk music, with inspiration from Cuba, Colombia, Africa, Europe and Latin America. Nice Verdes plays combinations of Cuban tres (a three-stringed guitar), accordion, ukelele, and guitar, accompanied by vocals. They have always been drawn to collaborating with artists from all countries, and they enjoy most of all the parties and festivals that celebrate a strong sense of community and equality in diversity. Aleš Macháček was born in Prague and after university worked as an engineer. In 1977 he was sentenced to three years in prison for helping distribute books and periodicals banned by the regime in Czechoslovakia, in 1985 he was bullied into exile in London as part of a secret police campaign to get rid of troublesome dissidents. 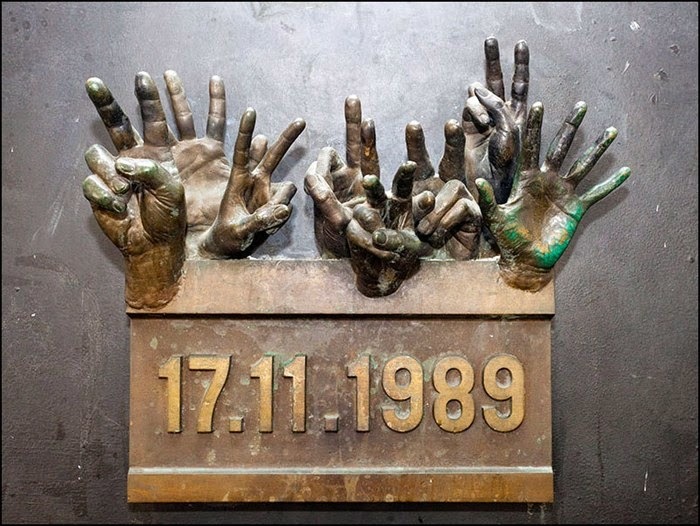 He was given a Gratias Agit in recognition of his activities in 2001 by the Czech foreign ministry and first published in a collection of texts by political prisoners in 2002 Bytem v Hruze. 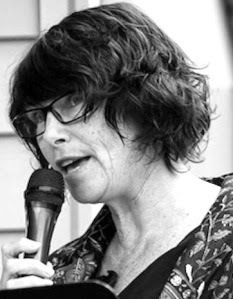 Jane Kirwan’s poems have appeared in magazines and anthologies, and her poetry collections Stealing the Eiffel Tower (1997), The Man Who Sold Mirrors (2003) and Second Exile (poems with prose by Ales Machacek (2010) were published by Rockingham. Born in the NHS, co-authored with Wendy French, came out from Hippocrates Press in 2013. She won an Arts Council Writers’ Award in 2002, has been commended and given prizes in many competitions and read at poetry festivals in the UK and abroad. 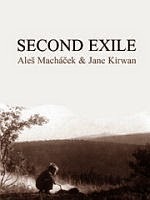 The two met in London in 1989 and Second Exile was put together when Ales decided to give his version of those of Jane’s poems that had started from his stories. 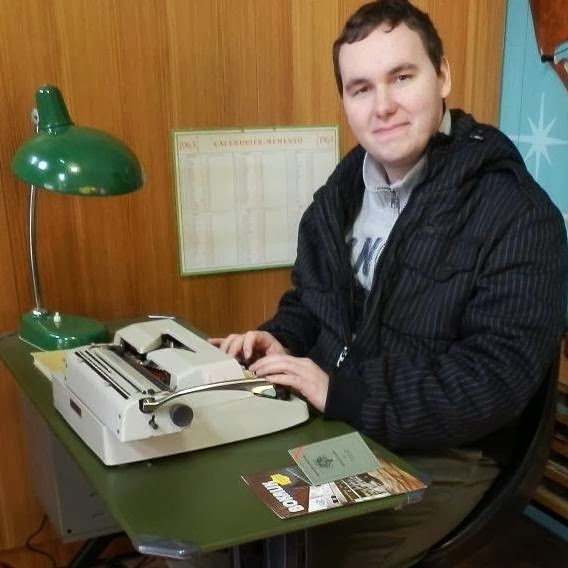 2013’s May feature Julian Stannard (UK) is back in Prague with new poems, thoughts, and words – Julian will open the show with a 15-minute reading. Following Julian will be Leah Abramson of The Abramson Singers (CAN). 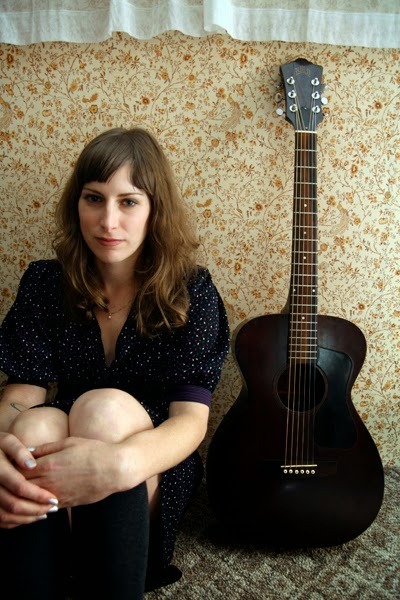 Leah hails from Vancouver and released her first solo album, Bedroom/City, in 2006. The band’s latest album, Late Riser, was released 14 May 2013. Produced by Colin Stewart (Dan Mangan, Brasstronaut), this album finds the Singers with lush band arrangements, relatively upbeat tempos, retro organs and catchy melodies. Begun at the Banff Centre Indie Band Residency with Howard Bilerman (Arcade Fire), Tony Berg (Jakob Dylan) and Shawn Everett (Weezer), Late Riser explores new pop and indie rock sensibilities, but not without a firm grounding in folk songwriting. Thematically Late Riser is a continuation on the subject matter of their previous self-titled album (2010), with songs of longing, loss and heartbreak alongside historically inspired songs about the Métis rebel Louis Riel (the French-English hybrid, “Marguerite”, and beautifully somber “Red River Valley”). The event starts at 7.30 - see you there! An award-winning Czech writer, Jan published six sci-fi novels in Czech and has contributed to numerous anthologies. 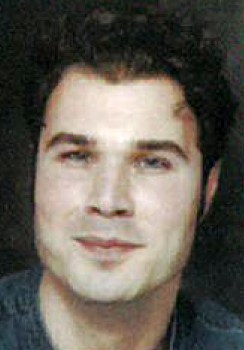 In 2011, Jan’s novel Tristanská občanská válka (Tristan Civil War) won the Aeronatilus Award for novel of the year. In 2012, he was awarded the Encouragement Award from the European Sci-Fi and Fantasy Association. Recently Jan has stepped into the English market with his novella-in-translation Command Decision, available on Amazon. His first novel is currently being translated. 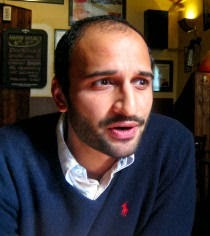 This month, we were delighted to welcome Shaan Joshi, a resident of Prague and editor-in-chief of The Prague Revue. A graduate of Indiana University, Shaan formerly served as education coordinator for Ecole Shalom school in Haiti before coming to the Czech Republic. 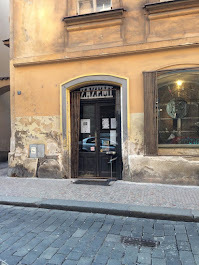 In 2012 he helped to re-launch The Prague Revue, a literary journal originally founded in 1995 but dormant since 2008. The huge success of the online version of the Revue, with its associated stream of bold, contentious and often provocative writing, led to a decision to return to print in 2014. Shaan read from his own work in progress as well as two pieces previously printed in the TPR stream. To kick off 2014, Alchemy was delighted to feature Founding Father Ken Nash as our first performer. 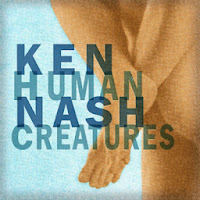 Ken played selected tracks from his new album, released November 2013, Human Creatures.